Lough Ree has been mentioned here on a couple of occasions (see With Advantageous Views, September 19th 2018 and Well Lodged, October 15th 2018). The second-largest lake over the course of the river Shannon (and the third-largest lake in Ireland) Lough Ree is some 28 kilometres long and borders on three counties: Westmeath, Longford and Roscommon. Across its length can be found many islands of differing sizes: until the 1950s many of these were inhabited by farmers: the last man to live on a Lough Ree island only died in February 2018. Lough Ree appears on the map derived from Ptolomy’s second century Geographia where it is called Rheba, indicating awareness of its existence beyond the shores of Ireland. Most likely Rheda is a corruption of Rí, the Irish word for King, whence derives Lough Ree. However, while this might be designated the Lake of Kings, for a long time it was better known for the monastic settlements that were once widespread on the islands here. Inchcleraun derives its name from Clothru, according to ancient legend the sister of Queen Mebh of Connacht: the latter is said to have retired to the island where while bathing she was killed, seemingly by her nephew (the story is exceedingly complicated). A monastery was founded here around the year 530 by St Diarmaid: a little church, the oldest on the site, is known as Templedermot. By the eighth century Inchcleraun was home to a number of religious settlements, but over the course of the next 500-odd years these were subject to repeated attack and plunder. 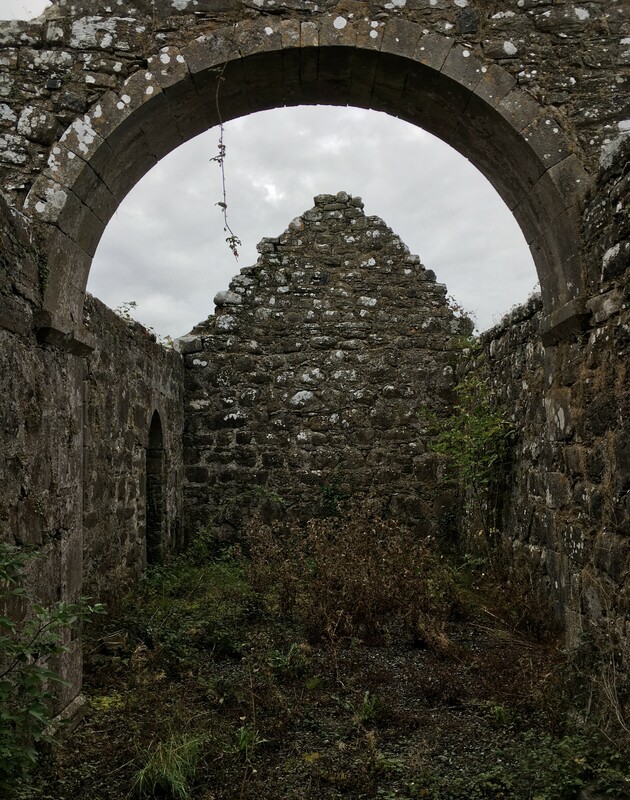 Today there are the remains of some seven churches, the largest of which is called Templemurry: according to old lore, any woman entering this building would die within a year. Running to just over 132 acres, Inchmore is the largest of the islands on Lough Ree and lies inside the borders of County Westmeath. The first religious settlement here is said to have been made in the fifth century by one St Liberius. However, in the second half of the 12th century, a priory of the Canons Regular of St Augustin was established here: it is the remains of this establishment – perhaps with later embellishments – which can be found on the island today. Like all such houses, the Augustinian priory was closed down in the 16th century, in 1567 Inchmore being granted by the crown authorities to Christopher Nugent, Baron Delvin. Like Inchcleraun, Saints Island lies inside the boundaries of County Longford but is not strictly an island since a narrow causeway connects it to the mainland. A monastery was established here in the mid-sixth century by St Ciarán who would later go on to found a more famous house at Clonmacnoise. In 1089 Saints Island was attacked and plundered by Murkertach O’Brien and a large number of Danes. However around 1244 Sir Henry Dillon caused the settlement of Augustinian canons in a Priory of All Saints to be settled on the site of St Ciarán’s earlier foundation. As with all other such establishments, it was closed down in the 16th century but the main part of the church with its fine east window, clearly subject to alterations 100-odd years earlier, survives as do a few portions of the priory buildings.